Scrap that @Chief Bakes you beat me to it! 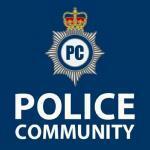 West Yorkshire Police officer recruitment is now closed again. It closed on the 21st. Regs recruitment reopened until 22nd May. Reopened again until July 3rd 2016. Please see above, recruitment is reopen for new student officers until July 3rd 2016. West Yorkshire Police are recruiting police officers now and close midnight on Sunday 22nd January 2017. Currently the only available recruitment is transferee officers and police staff. West Yorkshire Police has opened it's recruitment for new officers however this is a direct entry to become a detective constable. The closing date for applications is Sunday 16 September 2018. Completed application forms must be submitted by 23.55 hours on Monday 21 January 2019.